Island color awaits in the wind to blow you over the top to golden perfection. A native trio of tropical oils create a lightweight, non greasy blend that infuses your skin with moisture and develops a seductive color for a youthful presence. 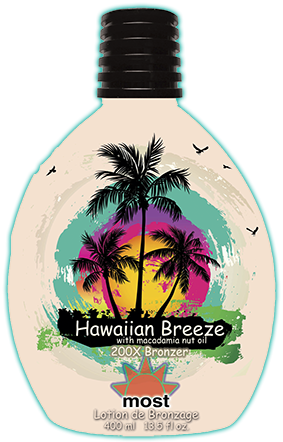 Natural bronzers infused with DHA give you an uninhibited bronze level of tan for that satisfied island vacation state of mind.